I have only been in the PCA for 2 years, though my formation of Reformed theology started way before then. I continue to be impressed by the tension of maintaining commitment to Reformed roots and adapting to a changing environment. Of course the commitment is to Scripture but there is also recognition that Presbyterianism is not the only game in town. It seems to me that what these speakers are pressing is the need be in dialogue with other Christian denominations and affiliations. Though I unapologetically classify myself as Reformed, my eclectic doctrinal journey cautions me against making Reformed the dogmatic standard of Christianity to which everyone else must bow. My theological convictions impress upon me Reformed doctrine as a result of wrestling with the biblical texts and arguments past and present. But if I lose sight that Christ’s body encompasses other members who hold the core beliefs but deviate on some secondary issues then, I lose sight of the beauty of what it means to be in Christ’s body. It’s why I try not to push Reformed doctrine in the sense of some kind of superiority kick, as I wrote here. Admittedly, sometimes I fail. But it helps to remember that the true body of Christ is pretty big and transcends denominational lines. I am reminded of this excellent quote from Willem VanGemeren, in an essay titled Systems of Continuity in Continuity and Discontinuity: Perspectives on the Relationship Between the Old and New Testaments. I’ve had the book for several years and continue to pour over the essays in an attempt to bridge the divide between Dispensationalism and Covenant Theology. Reformed theology must remain in dialogue. Dialogue keeps us from being isolated, proud, autonomous, and with a limited vision and witness. An ecumenical concern fosters dialogue with the past and present. By ecumenical we mean a willingness to look at and be in dialogue with other communities than our own, because in hearing God’s word the church confesses oneness with Israel, with other members of the body of Christ, and with our spiritual fathers and brothers throughout the history of the church. 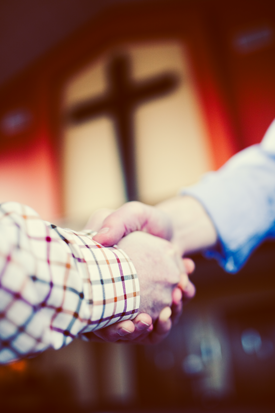 Dialogue within the branches of evangelical denominations representing diverse theological perspectives will only benefit the Reformed community. May their light also shine on us. This dialogue, like any true dialogue, enriches the participants. The more diverse the dialogue, the richer our experience of salvation. It’s a tough exercise but one that I think is worth it. It doesn’t mean to let go of Reformed convictions. But it does mean we are willing to look beyond them.